Big 80&apos;s fan here. The music of my youth, I will always love it&apos;s upbeat sounds. A band is just not a band without a keyboard, imo. But it does not stop there. I love symphony, new age, techno, dance, opera, and many other genres of music. Lately I&apos;ve found myself listening to a lot of Koan. Koan is a generative musical engine that was written by two gentlemen, Tim and Pete Cole, who have taught it how to think and write the music itself, back in 2007. Really excellent stuff. I love the haunting sounds, often with an oriental edge, and no words, instrumentals all. Well, 99 percent of it anyway. Koan puts you right into the middle of an old forest, dripping with moss and enormous ferns, or to the edge of an Asian cliff, with the clouds below you, mist hanging in the air. From across a red desert in full spring bloom, crisp dew hanging on cacti flowers to the Great Smokies, this music will fascinate your head if you have any kind of imagination at all. Koan goes way beyond mood music! 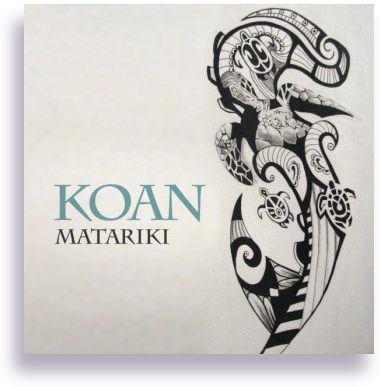 You can spend an entire day listening to the different songs Koan has written, without ever playing them in duplicate. I have a playlist over at UTube with over 60 songs by Koan found there. Definitely road trip music, I highly suggest burning a disc and listening to this ethereal music on your way to work, to calm your nerves and make a better day of it. I hope you get as hooked as me on the mystical edgy sounds. I know I did. By the way, it&apos;s great music for your plants to grow by. I pipe it straight into the greenhouse, for them, and me. This entry was posted on August 25th, 2012 and is filed under Music.